Since the Skin Veil from Ellis Faas landed in my lap I’ve been unable to put it down, why? Because it’s the closest foundation I’ve tried that actually mimics my skin tone. It’s natural looking in a way that doesn’t look like I’m wearing makeup. You may be asking yourself how can this be? It doesn’t look like I have piles of foundation and powder caked on my face, yet my skin is luminous and my imperfections are concealed without artifice. 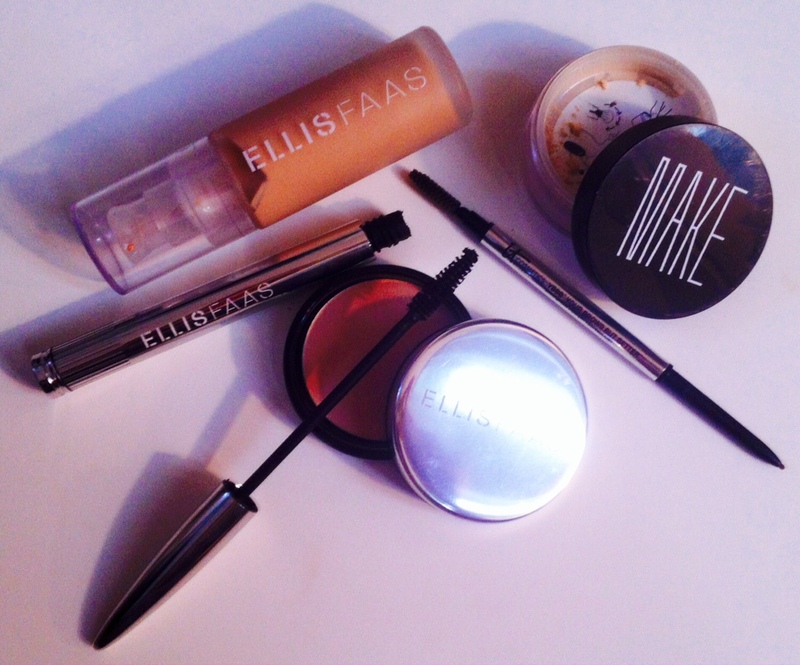 Ellis Faas mascara is another beauty tool that enhances your natural lashes without looking like you’re trying too hard. Naturally I’m also in love with MAKE, they make the most amazing Glossing Powder that leaves your skin glowing even more if that’s possible. And last but not least I am addicted to my Brow Powder eyebrow pencil by iT Cosmetics, it’s not only natural looking, but it doesn’t come off until you take it off. Ladies, this was just my canvas, this doesn’t include my skincare regimen or my red lipstick. What beauty items are you currently using? Great post! Really well written 😊 I’d love it if you could check out my blog and give me some feedback if you have the time?